In the 25th chapter of the book of Matthew, Jesus tells an intriguing story. He introduces us to two servants who are each given a certain amount of talents by their master. They each invest the money wisely and double what was given to them. Those are painful words. Those are convicting words. As a servant of Jesus, I pray those words will not be my declaration before my Lord. As a pastor, it is my sincere prayer those words will not be your declaration before our Lord. My friends, God has made a deposit into your life, a good deposit. And He is looking for a return on His investment. He has a right to expect you to bear good fruit. 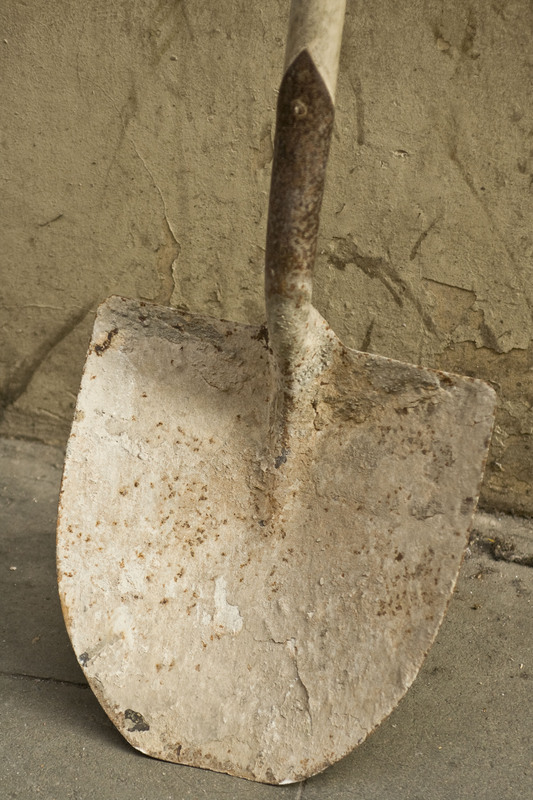 Don’t you think it’s time to break out your shovel, dig up those talents, and invest them in the Kingdom of God? Yep! It really is “National Marriage Week!” Bet you didn’t even know that one existed! But, the week of February 7-14 is set aside in our nation to invest in the fundamental building block of healthy families—good marriages. Although there’s plenty of research that shows marriage does indeed help people become healthy, wealthy, and wise (see http://www.nationalmarriageweekusa.org/Marriage-Provides-Better-Health.htm for the statistics), by far the best case to be made for marriage is that it was God’s idea. His ideas are quite unlike mine. While I might have a good idea every so often (my wife says usually 1 out of 3), ALL of His ideas are good. Every single one. He never misses. And if marriage was dreamed up in the heart of God, you can rest assured that it not only CAN work, but can work BEAUTIFULLY. This week, I encourage you to check out the following resources to invest in your own marriage. If you’re not married yourself, then pray for the marriages of the people in your life and consider sharing the info with them. We need healthy marriages in our church family and in our city. Let’s do what it takes to see them built! “What Snuck In Through the Garden Door,” Pastor Eric’s message from February 2nd, will be available online soon! Emmanuel Fellowship is now in TWO SERVICES. Our Sunday morning worship times are 9:00 and 11:00. A pre-school nursery only is available during the 9:00 service, and full children’s ministry is offered in the 11:00 service. Night of Worship – After being postponed last week due to weather, we’re starting Family Foundations month off with a bang this Wednesday, February 9th, with an object lesson, fun activities, and of course, food! Parents, make sure you’re ready to party with your kids this week and come join us. Sermon Series – Each Sunday, during the month of February, we will be looking at different aspects of healthy Family Foundations. From marriage to parenting to grandparenting, there’s something for everyone. Valentine’s Couple Dessert – We’re going to have an evening to remember at the church this Sunday, February 13th, at 7 pm. Join us as we learn how to “Keep the Sweet in Sweethearts.” Tickets are $5 per couple and are on sale now in the church foyer! Childcare will be provided. Youth Led Service – Our youth are going to get in on the action by blessing us with leading every aspect of our Sunday morning services on Sunday, February 20th. You won’t want to miss this special time. Kingdom Principles for Raising Children Seminar – All parents are invited to attend our parenting seminar, Sunday, February 27 at 6 pm and Monday, February 28 at 7 pm. Session 1 will cover how to discipline effectively and speak your child’s love language. Session 2 will cover how to impart Godly principles into your child’s life. Check out these resources to connect with our ministry to children and youth. Worldchangers – Discussion starters from Sunday’s Kids’ Church lesson. Been trying to remember one of those awesome songs we sang? Here is our worship list from yesterday for those of you who just absolutely need a copy for yourself. You can usually find them for purchase on itunes.com. Join us next Sunday as we continue our Family Foundations Series!